Hello all, I've been driving a 2003 Green Nissan Altima for the past 10 years---but recently at 124,000 miles the repair costs have begun crossing the comfort line. Things I love about the Altima: comfortable ride, great visibility, great trunk space, leather seats, green exterior--I realize this is a bit silly, but it's always easy to find in the parking lot without being garish red, plus it's my favorite color. How I drive the car: I currently walk to work, but often take 100-200mile trips on weekends and do a lot of short 3-5 mile errand running (hence the fairly low mileage on the Nissan). New England driver, so some snow/elevation changes, but no off-roading or anything. 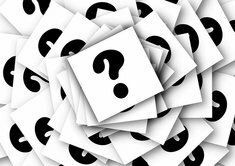 What I am looking for: I'd like something with a bit sportier of a design--if possible --without compromising reliability. Good "true value over time," is important to me so I'd be interested in both new and new-ish used cars and hope for something with better fuel mileage than the old Altima. Bonus if it comes in green, but I wouldn't choose a car over this. The car that keeps coming up in my searches is a Honda Civic, which is fine and an obvious contender, but I'd like to consider some others, newer Nissan's seem to get low grades for cheap internals and the Subaru's I've checked out so far aren't very comfortable/seem to not do as well in the depreciation/reliability categories. Assuming you want another sedan there are plenty of choices. 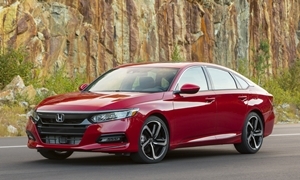 The latest Accord would also be worth a look. You seem to be in a very similiar boat as I am. I currently have an 02 Acura TLS which I really liked. After 15 years 204000 miles it still runs good but I am get wary about a car once it goes this long so I have been looking for a replacement. 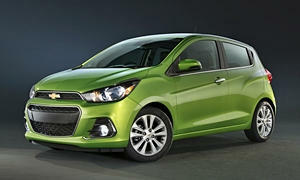 My preference is for something smaller, lighter, better fuel mileage yet still good performance. 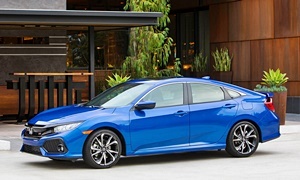 Yes, the Honda Civic (2016) is tops on my list but I have to sit and test drive it. That's something I need to do. I already wrote off the 2012-2015 Civic and the Acura ILX due to a lack of headroom less than 1". However when I sat in the 2016 at an autoshow I had about 4". Its on my list of things to do. I did test drive a used 2015 Accord Sport and I liked how it handled but I didn't like the feel of the CVT. I think its something that takes getting used to. I did have one with a rental Altima for about a week not long after this test drive and after a day or two I hardly noticed it. 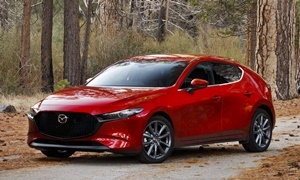 Test Drove a Mazda 3 S GT 2016. That car was great, I just didn't like the "racer" look of the big central tac/speedo. Same with the i model with the big speedo in the middle and the digital tac. This along with the Accord will probably fight with the Civic. 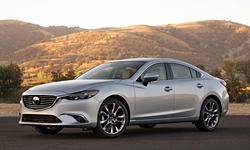 I also test drove a used 2015 Mazda 6 but I suspect it might have been abused, it didn't handle well at all. I'll probably try a new one. That used one had 70K miles on it, so maybe I should give it another chance. I had a Nissan Altima S 2015 for a week as a rental, that car drove fine and I got great gas mileage with it. The biggest beef I had was with the seats, I found the hyped zero gravvity seats to be uncomfortable for me. Thats why I find the test drive to be important. Personally I think auto "journalists" tend to way overexaggerate how "poorly" some cars drive. I don't find them to be credible anymore as a result. Most of the time their favorites and low on sales and their hated cars are top sellers. It doesn't really matter what anyone else thinks, its how do you feel about it, since you are paying for it and have to drive it everyday for the next decade perhaps. You might find the seats to be comfortable. I might also suggest a used 2013-2014 Lexus ES350. These can be had for the mid 25 range certified which is roughly what these others are selling for new. Your best bet is probably a Honda Accord, unless you're okay with something smaller than your current car. The Accord is available in green. 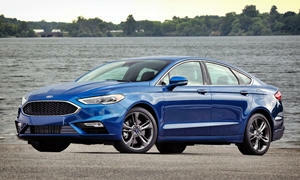 Other midsize sedans available in green include the Toyota Camry (like the Accord, a low total cost of ownership), 2016 Kia Optima, Nissan Altima, and Ford Fusion. I'll recommend one because it checks every box of your Altima and priorities. Get the Honda Accord. You can't get leather in your budget though, but it come in green. I recommend the 2013 as you'll get more for your money. Get an EX-L. Camry is also a great choice, but the Accord excels at almost everything. A Chevy Spark EV would be perfect for around town and with a $25,000 budget it would be half that at $11,000-12,000. At a 80 mile range it would get you about an hour out of town. 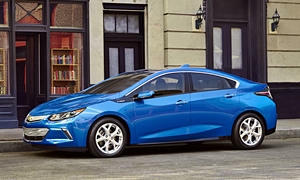 A little over $20,000 would be theCitronGreenMetallicChevy Volt. The plug in would perfect for your couple miles of errands.